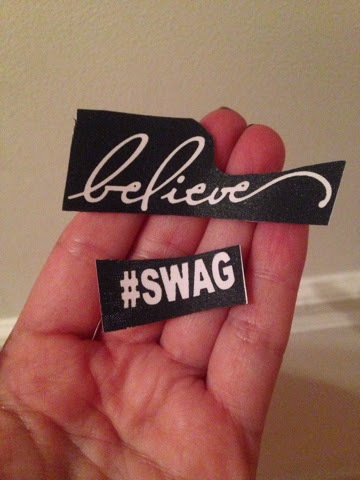 Home » Glimmer Body Art » Tattoo Junkee » Tattoo Junkee: Real or Faux? They have you covered! 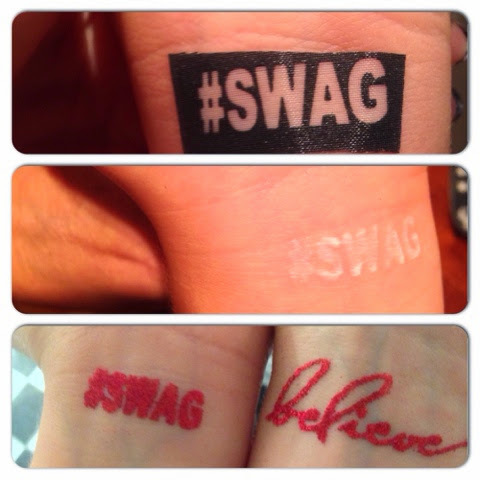 Tattoo Junkee: Real or Faux? They have you covered! 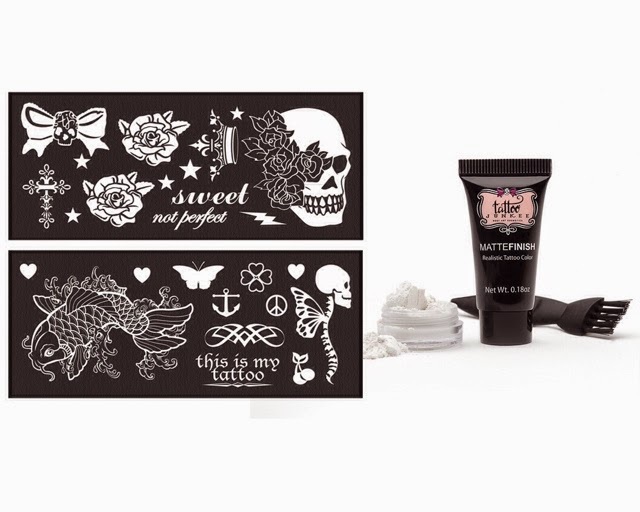 Ever since the flash tattoo phenomenon, I have wanted tats all over so when Tattoo Junkee Body Art Cosmetics sent over a few kits- the fun began to get real...or faux?! 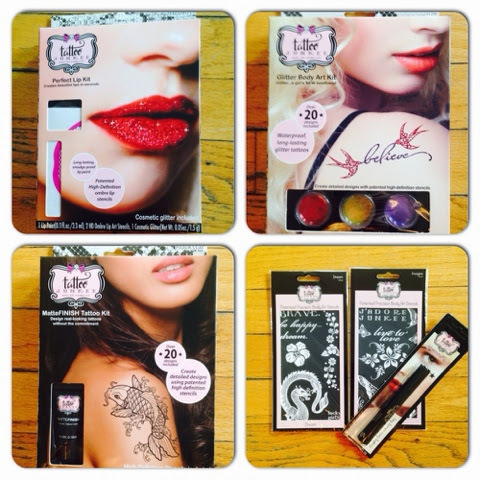 The Matte Finish Kits ($10) offer foolproof application and the look of a real tat. The Matte Finish Ink ($6) are offered in a few different colors and you can get the traditional henna brown or go for a true Red if you are looking for a pop of color. It's temporary so there is no excuse for not trying something new! Patented Precision Stencils ($4) offer 6 different stencil sheets with a lot of options. 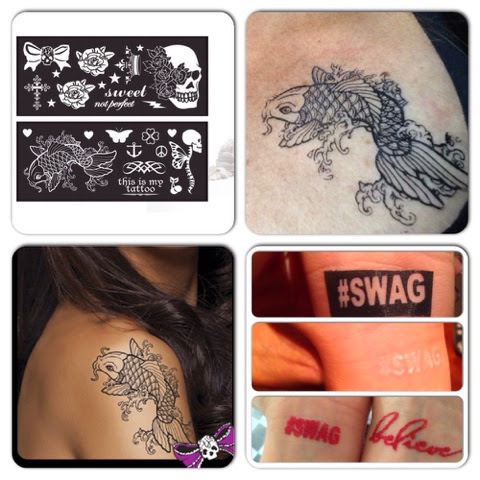 All can be purchased at Tattoo JUNKEE and there you can see other types of tattoos that are shown below.